The Philharmonia Baroque is in the download game. You can listen for free or buy at your own price, ranging from $5 to $18 ("We love you!"). Their live Handel Atalanta is excellent. "With all of the articles we read these days about the declining popularity of classical music, the fact is that we are living at a time when a new generation of great performers, conductors and composers, like John Adams, Thomas Adès, Pierre-Laurent Aimard, Alarm Will Sound, the Arditti Quartet, Bang on a Can, Ian Bostridge, Osvaldo Golijov, Lorraine Hunt Lieberson, Gidon Kremer, the Kronos Quartet, Simon Rattle, David Robertson, Esa-Pekka Salonen, Dawn Upshaw and many others, (disclosure: some of these artists have recorded for my company), are participating in the creation of a new and original classical music landscape, one that belongs to its generation, just as the classical world of Bernstein, Horowitz, Karajan and Rubinstein belonged to its generation. It is a thrilling time to be a part of the classical music audience." The Iranian newspaper Shargh mentions William Harvey's Juilliard performance; see the left-hand column. I am flattered and slightly stunned to be receiving a Letter of Distinction from the American Music Center. I doubt whether I deserve such a thing, particularly in the vicinity of Milton Babbitt, but I will gratefully accept it. Incidentally, the ever-buoyant Babbitt, who celebrates his ninetieth birthday on May 10, was the first famous composer I met (after Leonard Bernstein, in childhood). I talked to him for thirty seconds or so at WHRB in 1988. When, some years later, I met him again, he remembered our encounter with uncanny precision, down to the diseased color of the rug in the room we talked in. I'm giving a few out-of-town lectures in coming weeks. Next Thursday, I will speak on the sinister topic "Stalin and Hitler as 'Music-Lovers'" at the Peabody Institute in Baltimore. Having become aware that April 20 used to be Hitler's birthday, I wish to assure potential attendees that it will not be a particularly pro-Hitler presentation. The kind of love we are talking about is that which Oscar Wilde described in "The Ballad of Reading Gaol" — "Each man kills the thing he loves." Much of the material comes from the central section of my book The Rest Is Noise: Listening to the Twentieth Century — chapters on music in Stalin's Soviet Union, FDR's America, and Hitler's Germany in the 30s and 40s. It's the best work I've done, I think. On April 28, I will be in Seattle to talk at On the Boards, and the next day I will give a paper at the Experience Music Project Pop Conference. At On the Boards I will hazardously attempt to sum up, with the aid of an iPod, the entire twentieth century in about an hour. We'll see how far I get. I can guarantee that Hanns Eisler's "Heimliche Aufmarsch" will bring the house down (if played at ear-splitting, bourgeoisie-annihilating volume). As in the book, my aim is to map out the sheer dizzying diversity of music of the last hundred years — the extremes of pure beauty and pure noise to which composers lunged, both in imitation and defiance of the times in which they lived. As for the book itself, I am beginning to see a flicker of light at the end of the "profound dull tunnel" (War Requiem). I have now cut a full 100,000 words from the manuscript, and I am getting somewhere close to publishable length. Happy Passover and "Easter" (actual Easter is April 23). Carl Wilson has discovered the next big Canadian cult indie band: The Black Horse, Wolf Mountain, Bear Island Shout Shout Yeah National Dance Parade Collective. Actually, that's just his suggestion for a name, but it sounds plausible. Last night at Alice Tully Hall, the violinist and composer William Harvey gave an intense and persuasive performance of Behzad Ranjbaran's Violin Concerto, with the Juilliard Orchestra under Gerard Schwarz. Harvey is remarkable not only for his considerable technical gifts but also for his ambitious projects in international music education. This summer he is teaching composition to AIDS orphans in Zimbabwe. Read here about his travels last summer to Moldova and Tunisia.... UCLA's Roger Bourland has a nice analysis of Rufus Wainwright's insanely beautiful song "The Art Teacher."... The results of Make Microtonal Music Day 2006 are available at Microtonal Podcast. The blog-borne festival describes itself, not too seriously, as "Black History Month for Microtonality." A few highlights: Yahya Abdal-Aziz's Bunga Seroja, Jeff Harrington's Spirale d'Arco, and Gene Ward Smith's Dreyfus (inspired by Chief Inspector Dreyfus's mad organ performance at the climax of The Pink Panther Strikes Again). If you're hungry for more, go to Prent Rodgers's site for an excerpt from Opera: The War on Terror, or to Smith's site for Threnody for the Victims of Wolfgang Amadeus Mozart. O dem composers. I recently exchanged some letters with Hans Fantel, an author and critic who has had a remarkable twentieth-century life. He was born in Vienna, the son of an engineer who built one of the first electrical phonographs. "Racially obnoxious to Hitler's government," as he puts it, Fantel survived the war by hiding in a remote village in the Tatra Mountains. In 1989 he wrote an article for the New York Times on the subject of Bruno Walter's 1938 performance of Mahler's Ninth Symphony. I'm reprinting it with his permission; it will be clear why. 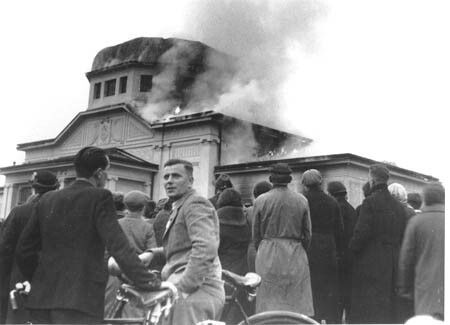 Photo: A synagogue burns in Graz on Kristallnacht, 1938. Normally the phonograph plays a casual accompaniment to our lives. We think of it, quite rightly, as a means of entertainment. Yet there are times when the machine suddenly shows a deeper aspect of its character, and the miraculous nature of the instrument stands revealed. So it was for me last week. The mail brought a new CD for review. I opened the parcel and suddenly found myself holding a piece of my past — as remote as a previous incarnation yet as present as my heartbeat. The recording was made at a concert I attended more than 50 years ago. At first memory refused to fill in the details. But soon they crowded into me, in a chaos of remembrance, as the phonograph asserted its power of putting the past into the present. The recorded concert took place at the Musikverein in Vienna. The liner notes confirmed the date: Jan. 16, 1938. Bruno Walter, the great conductor then in his prime, led the Vienna Philharmonic in Mahler's Ninth Symphony. Since this epochal work had never before been put on disks, a British record company then known as His Master's Voice (now EMI) had hauled its cumbersome recording apparatus to Austria for the occasion — a rare and complicated undertaking before the age of tape. The brand-new CD in my hand seemed strangely incongruous. Its curiously abstract digital concepts were unthinkable at the time the original recording was cut into soft, palpable wax. Here, in the latest technical guise, were echoes of a lost world. While I inwardly grappled with this, my recall sharpened, and I remembered the occasion of the recording with startling accuracy. Mahler performances were rare in Vienna in those days because Mahler's city had already been contaminated by the acolytes of Adolf Hitler. By their reckoning, Mahler's music was loathsome — a product of "Jewish decadence." To put Mahler's music on the program was therefore a political act. It was to protest and deny the hateful faith that blazed across the border from Germany. That much I understood quite clearly, even as a boy. We could not know on that winter Sunday that this would turn out to be the last performance of the Vienna Philharmonic before Hitler crushed his homeland to make it part of the German Reich. The music, captured that day by the bulky old microphones I remember strung across the stage, was the last to be heard from many of the musicians in the orchestra. They and their country vanished. I put on the record. 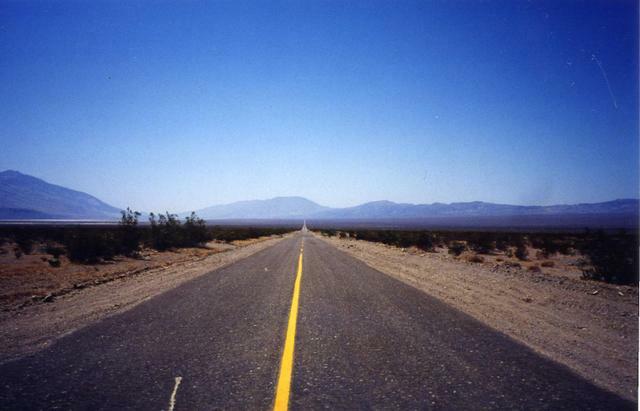 To hear that music again, after so long a time and in so distant a place, was a strange reprise. I now lived on another continent and even spoke another language. And I had become an adult. I now had some musical understanding of what I had then heard uncomprehendingly. I could now recognize and appreciate the singular aura of that performance; I could sense its uncanny intensity — a strange inner turmoil quite different from the many other recordings of Mahler's Ninth I had heard since. Knowing now what nobody could have known at the time of the concert, it seemed that perhaps the playing of the music carried within it a foreboding of what was to come. Terror and anguish, not yet experienced but divined, were transformed into song. Was it by chance that Mahler's Ninth — that supreme expression of farewell — was on the program that day? But it wasn't the music alone that cast a spell over me as I listened to the new CD. Nor was it the memory of the time when the recording was made. It took me a while to discover what so moved me. Finally, I knew what it was: This disk held fast an event I had shared with my father: 71 minutes out of the 16 years we had together. Soon after, as an "enemy of Reich and Führer," my father also disappeared into Hitler's abyss. That's what made me realize something about the nature of phonographs: they admit no ending. They imply perpetuity. All this seems far from our usual concerns with the hardware of sound reproduction. But then again, speculating on endlessness may be getting at the purposive essence of all this electronic gadgetry — its "telos," as the Greeks would say. In the perennial rebirth of music through recordings, something of life itself steps over the normal limits of time. Epilogue: Hans Fantel died a month after I reprinted his article. Maulina identifies with Dawn Upshaw's deeply poetic performance on the DVD of L'Amour de loin. I'm still in Paris, awaiting the first performance of Kaija Saariaho's opera Adriana Mater. The premiere was to have taken place at the Opéra de la Bastille last Thursday night, but, as Charles Downey reported at ionarts, a strike in support of part-time performing-arts workers forced a last-minute cancellation. If tonight's performance is cancelled too, I'll have to move on, but I intend to write about Saariaho anyway, damnit. I've gleaned some sense of the new piece from the score, and I can also comment on the riveting new DVD of her first opera, L'Amour de loin. [Update: Saariaho was heard, and she triumphed.] Another nationwide strike, unrelated to the action against the Opéra, has been called for tomorrow. From the barricades of the eternal revolution I salute you. Through the marvel of digital sound, I am listening in my Paris hotel room to last week's LA Philharmonic concerts, now on iTunes. Mark Swed has the Minimalist Jukebox report; more at The Standing Room, Paul Bailey, and Sequenza21. "We have now trained the American audience to be good music critics." Be sure to read the obituaries for the remarkable Boston opera impresario Sarah Caldwell — Richard Dyer's and Anthony Tommasini's are authoritative. I saw only one of Caldwell's productions, in 1988, and I don't think I caught her at her best. It was Médée, an unforgettably strange staging combining Cherubini's elegant 1797 score, declamations in ancient Greek, and Michalis Christodoulidis's harsh-toned reimaginings of ancient Greek music. Josephine Barstow gave a forceful rendition of the title role, but it was a long night. This, believe it or not, was my introduction to live opera. I also saw part of Caldwell's 1988 festival devoted to modern Soviet composers (Schnittke, Gubaidulina, Kancheli), which, as the obituarists relate, nearly caused a diplomatic incident. The young right-wing activist Ben Domenech has been caught plagiarizing in his articles for the National Review and other publications. Readers will be happy to hear that a bit of classical music can be found in the mix. Here is what critic Stephen Wigler wrote in an Amazon review of an Eduardus Halim CD: "Anyone who misses Vladimir Horowitz would be wise to investigate this all-Chopin recital by Eduardus Halim, the last of the master's students. ... [H]is phrasing has a similar Horowitz-like freedom, permitting him to move easily from the gently intimate to the explosive." Here is what Mr. Domenech wrote in a year-end notice for the National Review: "For those Chopin lovers who miss Vladimir Horowitz's beloved piano interpretations, this album presents a recital by Eduardus Halim, one of the last of Horowitz's students. Romantic, yet subtle, Halim's piano is an astoundingly poised creature of beauty, with a blend of tones that can be remarkably intimate, or extraordinarily incendiary — it's the best recording of Chopin in years." Let's not call this plagiarism; the change from "explosive" to "incendiary" is astoundingly, extraordinarily original. Halim, by the way, is not that great. Madeleine Milhaud, widow of the composer of The Creation of the World (danced vividly tonight by the Mark Morris Dance Group at BAM), celebrates her 104th birthday today. On a sad note, Tears of a Clownsilly observes the passing of Mozart's last mobile contemporary. Phillip Bush links to Gilbert Kaplan's musical interview with Condi Rice. She knows her stuff, no question. A few addenda to my current column about Ian Bostridge's Britten recital. The tenor's recording of Serenade, Nocturne, and Les Illuminations, with Simon Rattle conducting the Berlin Philharmonic, was released last year by EMI, and it's a great document. There's also his very fine account of The Holy Sonnets of John Donne and other songs for Hyperion, although he would probably bring more emotional edge to the material if he were to record it again today (which he should, alongside Winter Words). For the more advanced Brittenite, I recommend a Virgin Classics disc of the five Canticles. I haven't heard the Virgin recording of Turn of the Screw with Bostridge as Quint. If Britten is totally new to you, start with Jon Vickers's stupendous recording of Peter Grimes, although unfortunately the latest reissue contains no libretto. A few nights after the Britten recital, Bostridge presented a second, equally gratifying concert, with the expert, extroverted Belcea Quartet: Vaughan Williams's On Wenlock Edge, Fauré's La Bonne chanson, Shostakovich's Third Quartet. (See Charles Downey's lovely review of the DC version.) Two more Perspectives are slated for May. I begin my column with a brief account of Britten's visit to the former concentration camp at Bergen-Belsen in July, 1945, in the company of Yehudi Menuhin. A remarkable anecdote about their performance can be found in Donald Mitchell and Philip Reed's edition of Britten's correspondence and diaries (Letters from a Life, vol. 2, pp. 1273-74). In the notes, the editors quote from a letter that Anita Lasker, a young cellist who had survived the camp, wrote to her aunt after the recital: "It was a beautiful evening. Both soloist and accompanist were of a simplicity regarding their attire which almost bordered on the slovenly, which fitted the local atmosphere perfectly, No need to mention that Menuhin played violinistically to perfection.... Concerning the accompanist, I can only say that I just can not imagine anything more beautiful (wonderful). Somehow one never noticed that here was any accompanying going on at all, and yet I had to stare at this man like one transfixed as he sat seemingly suspended between chair and keyboard, playing so beautifully." Across the pond, Helen Radice is playing in a performance of Britten's War Requiem in London. She quotes the composer as follows: "It is cruel, you know, that music should be so beautiful. It has the beauty of loneliness and of pain: of strength and freedom. The beauty of disappointment and never-satisfied love." Britten said relatively little about music in public; he once told Joan Peyser of the New York Times that composers talk too much. What he did say counted. If you read the article online, you'll be missing a masterly portrait of Bostridge by Steve Pyke, who took memorable photographs of Gerald Finley and David Robertson for past articles of mine. I took the above sub-Pykean photo in Britten's home town of Aldeburgh in 1995. Charles Noble, violist for the Oregon Symphony, reports that he heard a conductor tell the orchestra: "The attack should sound like a Hummer hitting a baby deer." This sounds Spanoesque to me, but Mr. Noble isn't naming names. Leif Segerstam remains the reigning champion of the gobsmacking podium utterance. Elliott Carter is on the cover of Signal to Noise, an excellent quarterly devoted to experimental and improvised music. Sibelius famously remarked to his fellow composer Bengt von Törne: "Never pay any attention to what critics say. Remember, a statue has never been set up in honor of a critic!" Not quite true. Commenters at Felsenmusick point out that the Canadian artist Joe Fafard made a statue of Clement Greenberg, and that there is a statue to the literary critic Charles Augustin Saint-Beuve in the Luxembourg Gardens in Paris. 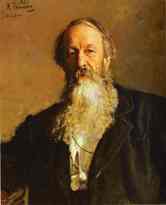 Also, I seem to remember seeing a statue of the Russian critic Vladimir Stasov — dedicatee of Pictures at an Exhibition, subject of several extraordinary portraits by Ilya Repin — in St. Petersburg. These, however, are obviously the exceptions that prove the rule. The way I see it, critics can play a useful cultural role, but composers should ignore what they say, even when it's positive. Praise can be as unnerving as criticism, as Sibelius learned after paying too much attention to Olin Downes. Last year I noted with a certain amount of excitement (to quote Swallow in Peter Grimes) that the Milwaukee Symphony had put recordings of its concerts online. The New York Philharmonic has followed suit with its own online plan, in collaboration with DG; the first offering will be Mozart's last three symphonies. You can already listen to archived broadcasts on the Philharmonic website. Not about to be left behind is the standard-setting LA Phil, which, Scott Timberg testifies, will be offering two of its Minimalist Jukebox concerts at the beginning of April, together with recent programs combining Beethoven symphonies and contemporary works. The concerts will be available through iTunes and will cost less than $10. This is good.